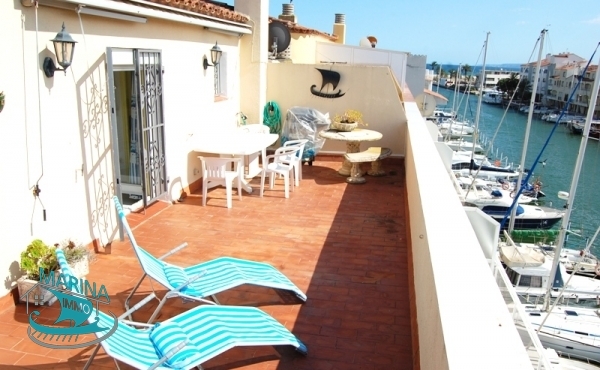 This apartment is located on the top floor of a small residence located at the sea exit. It consists of a living room - dining room, 1 equipped American kitchen, 2 bedrooms, 1 bathroom with bath .. 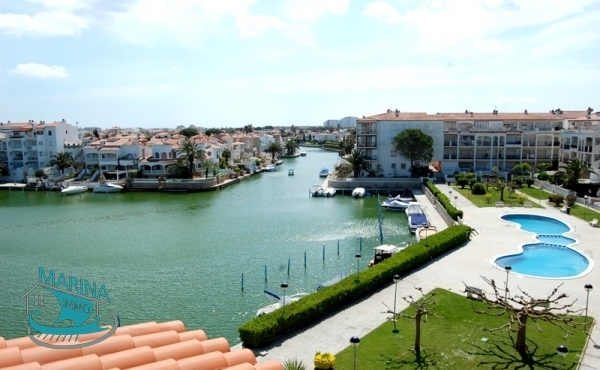 This apartment is located in one of the best areas of Empuriabrava. At the sea exit. It consists of a living room - dining room, 1 fully equipped kitchen, 1 bedroom, 1 bathroom with shower and toilet, ..
Duplex before the bridges with a big terrace, parking and garage. 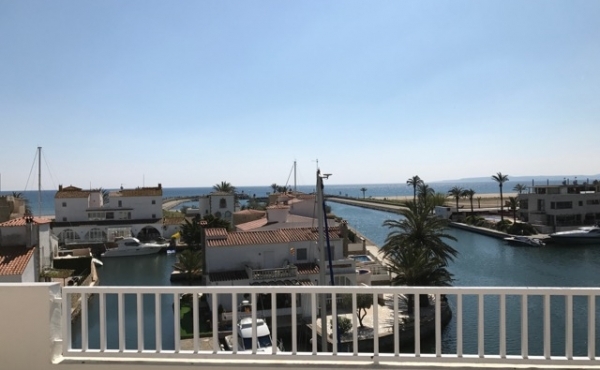 This beautiful duplex is located before the bridges Empuriabrava. 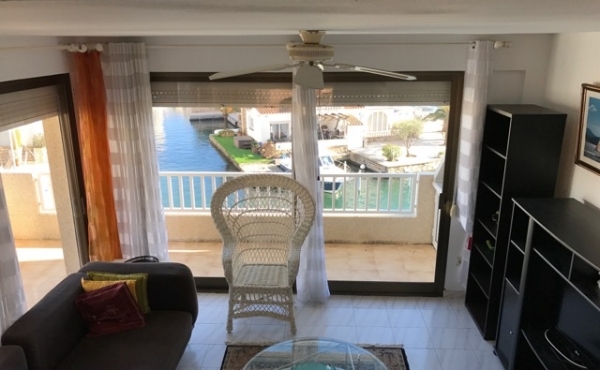 It consists of a living room - dining room, 1 fully equipped kitchen, 3 bedrooms, 2 bathrooms with wc, canal view terrace, a large terrace of 64m2 .. 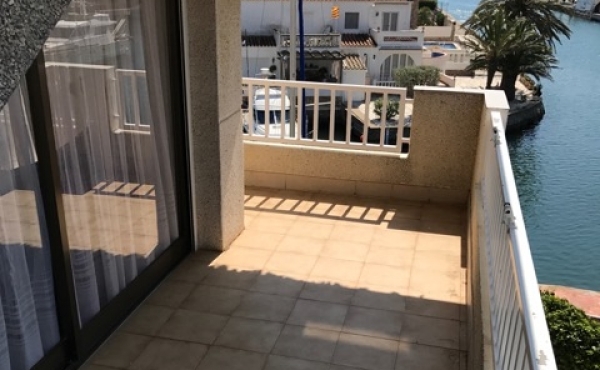 This newly refurbished ground floor is located at Lake San Maurici in Empuriabrava It consists of a living room - dining room, 1 fully equipped kitchen, 2 bedrooms, 1 bathroom with wc, terrace and jacuzzi Extra's: garage .. 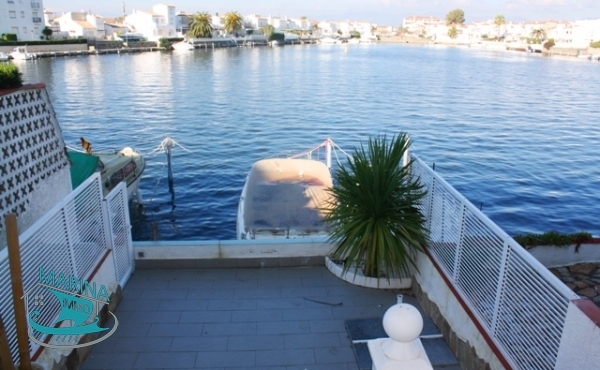 This apartment is located at Lake San Maurici in Empuriabrava with a mooring of 8m. It consists of a living room - dining room, 1 fully equipped American kitchen, 2 bedrooms, 1 bathroom with toilet, ..